Spanish, English, Italian and French. 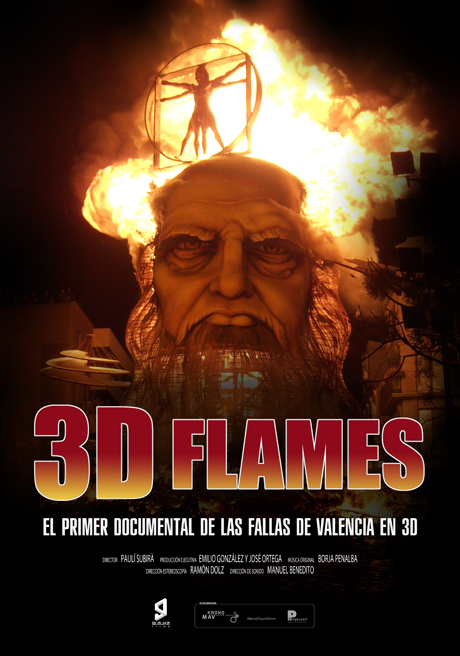 3D Flames takes part in Valencia, Spain, and shows the essence of the Fallas, explaining the feelings and motivations of a group of persons who decide to work together every year in order to feel the emotions that surround this big cultural event. 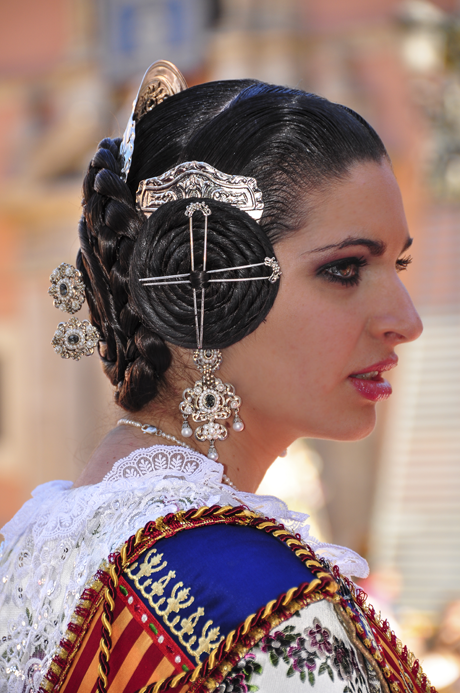 Through the character’s testimonials - a blend of valencians who carry the passion of the fallas in their blood and visitors - we discover the feelings and the essence of the music, the brotherhood, gunpowder and fire. 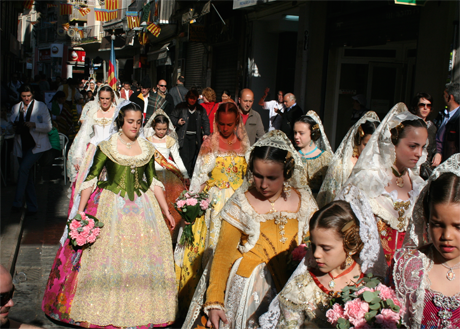 The audience gets also the testimony of the different professionals who make a living from the Fallas including the artists who design and build the fallas monuments, the pyrotechnic technicians and the dressers. 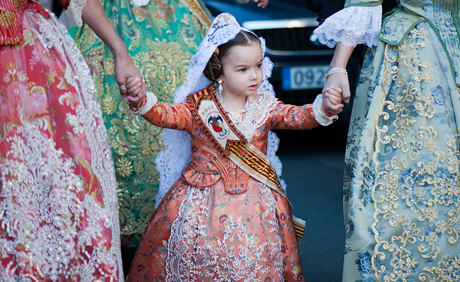 The spectator also understands the role of woman in this segment of society, and how it is evolving combining the traditions of this event with modern conceptions. 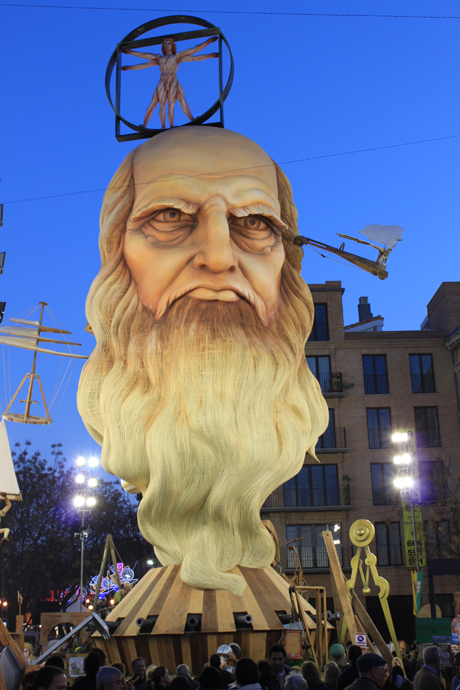 The documentary confronts a lot of opinions and points of view in order to offer a complete and clear picture of what the essence of the Fallas is, narrated by a very special gest, Leonardo Da Vinci. 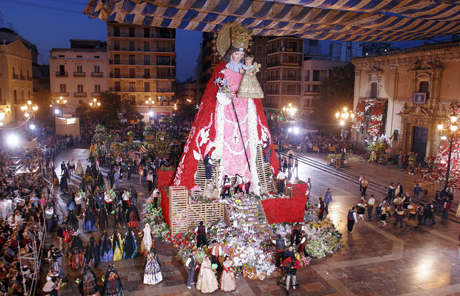 The spectator will see how a monument is built from its conception; how this impressive structures challenge engineering laws with its impossible forms, volumes and colours, and how it reigns the streets of Valencia before being burn down to ashes by the purifying fire. All this has been produced for the first time for this kind of production, with IN3D technology.